Florists perform an essential role to important occasions. They are the ones who provide flowers used in decorating the venue and they can also help with the arrangements. For this reason, it is just right for you to look for the best florist if you want to make an event successful. However, this is never easy because with the demand for flower delivery service, you can now find lots of florists around and even online. Being a successful florist can be very challenging. As you can see, you’ll have to compete with lots of florists and prove to people that you are better than them. It is not enough for you to offer your services at affordable rates because people will also look for quality and satisfaction. So if ever that you want to be the best florist in Singapore, listed below are just some of the characteristics that you should have. If you have the passion, then it is not impossible for you to reach your dream of becoming the best florist. 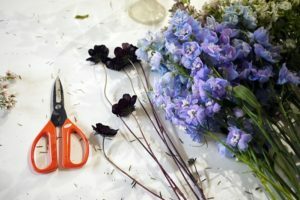 You’ll have the interested to different types of flowers, on how you will take care of them, and also on how you can create unique flower arrangements. In order to become the best florist, you should be willing to improve your knowledge of flowers. It is an advantage if you will connect to your competitors. You have to familiarize yourself with what they offer and what they do in order to come up with the right moves. It is also important that you establish a connection with your customers. Always ask their preferences and give suggestions that you know will help them make the right decision. You should always have the determination to meet the expectation of the customers. It is not right for you to say no or just give up instead you have to try it first. You have to be flexible and creative so you can combine different types of flowers. Try to look for ideas online and apply it for you to know the results. With these qualities, for sure it would be possible for you to reach your goals despite the competition that you have to deal with. You should also continue learning about various designs so you can present new arrangements to your customers. Remember that people would always demand something new and unique.